"The Artists Who Wield Ideas Like Burning Torches"
Contemporary culture is at its best when it is fresh and stuffed with wide-ranging and original ideas. Many of the most interesting contributors to the current arts have a fierce facility with extreme variety. While many of us get trapped in whirlpools where our bright ideas get replayed until they grow dull, great artists move from idea to idea, their notions adjusting in interesting ways at each pivot point. Sometimes the changes they push are vertical in that the artist dives deeper and deeper into a concept, unveiling ever-richer interpretations and aesthetics or carrying hot ideas across boundaries into new mediums. Just as valuable are the artists who move laterally, with each project totally different from the previous in both conceptual point and material production. Two artists whose finest works are currently touring the world strike me for their ability to constantly refine and reinvent their vision. Roger Waters, the former co-frontman of Pink Floyd, has reincarnated his masterpiece, The Wall, to celebrate its 30th anniversary. At its initial release in 1980, this simultaneous double-album and feature film combo rocked audiences in both audio and visual ways. Weaving together music, spoken word, and psychedelic animation, The Wall told a heartbreaking story of alienation and self-imposed isolation in a revolutionary non-linear manner. Now Waters is back with an epic-scale, live, theatrical version of The Wall. This touring mega-imaginarium is on an adventure through many of the best stadiums in the world, including fourteen nights at London’s O2 Arena in 2011. Complete with a rock orchestra, a crashing airplane, a flying pig, a giant inflatable schoolmaster, mind-warping digital projections, choirs drawn from local schools in the vicinity of the stadiums visited, and a massive wall that is built brick by brick before being destroyed at the concert’s climax, this manifestation of an all-time classic piece of culture is blazingly new in its production. Though I was disappointed that the rumors that David Gilmour was going to join Waters on stage proved false, I was thrilled with the show’s faithful, note-for-note reproduction of the original soundtrack and impressed that Waters’ new stage version has fully modernized the telling of the tale by injecting it with updated imagery, technology and energy. Like a Broadway performance jacked on both steroids and LSD simultaneously, this live variety show left no doubt in my mind about the continued relevance of Roger Waters as a cultural visionary. While Waters drills down ever deeper into a timeless tale, German photographer Wolfgang Tillmans leaps across surfaces through a bewildering variety of content. Jumping from subject to subject and exploring a vast assortment of genres and photographic media, Tillmans brandishes a sharp, multifaceted, diamond-like eye in his ongoing attempt to see the entire world in new ways. I was initially drawn to his early visual documentation of youth social movements, but I’ve continued to track his career as it has careened through photographic explorations of portraiture, still-life, sky and astronomical subjects, aerials, fashion, political activism, gender identity, and club culture. He is one of few artists who have been successful in experimenting with camera-free photography and his abstractions grab my attention with their purist, luxurious approach to color. 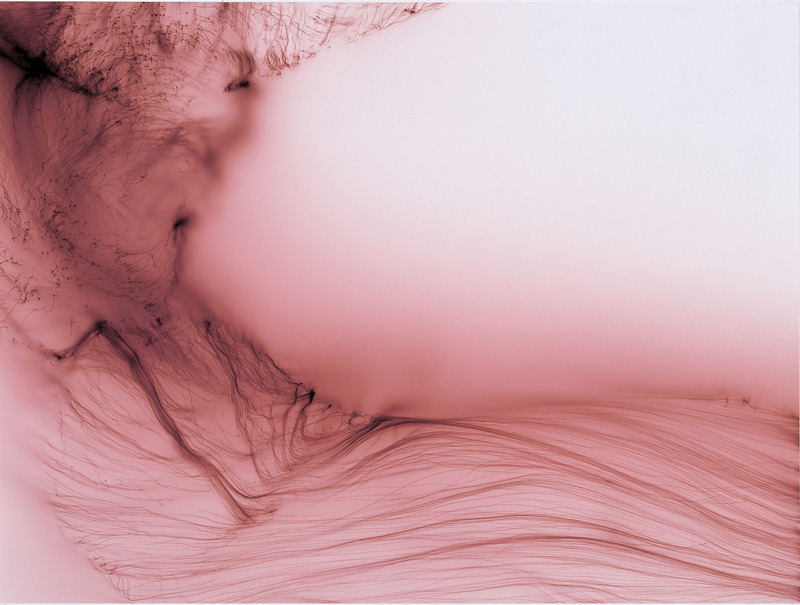 Tillmans, who was the first photographer and the first non-Brit to win the prestigious Turner Prize (2000), brought his investigation of the world through photography to London’s Serpentine Gallery this past summer. His work is currently on display at Liverpool’s Walker Art Gallery (through December 12, 2010) and at Galerie Daniel Buchholz in Berlin (through December 11, 2010). He is also included in an excellent survey of contemporary British art in Nottingham Contemporary’s “British Art Show 7: In the Days of the Comet” (through January 9, 2011). The most important contributors to contemporary creativity are those, like Waters and Tillmans, who experiment in many directions at once and weave disparate modes of thinking and viewing into high quality quilted culture. Wielding new ideas like burning torches, they light the way through the cavernous spaces revealed by advances in politics and technology. The rest of us just follow along.